I stand firm on my belief that grits are totally misunderstood. Before Dan let me cook them for him, his only grits experience had been on a trip to North Carolina to visit his grandmother. Let’s just say… it was a bad experience. It’s because a lot of people don’t do grits right. Now, I will swear by places like Cracker Barrel and Waffle House when you’re in a bind. Say it’s 2am on New Year’s Eve and you need hashbrowns. Well, then Waffle House is the place to be. 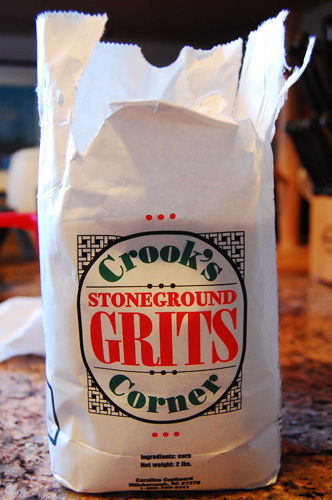 But when it comes to their grits… something is missing. They tend to be gummy, flavorless, and mushy. Which is such a waste, because grits have so much potential! They can be sweet, salty, cheesy, spicy… anything you dream of. Traditionally grits are made from corn ground in a stone mill. The corn is sifted, the finer product becomes corn meal, and the thicker product is the grit. 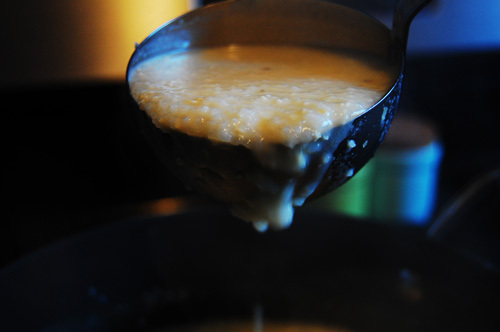 Grits, depending on how you’re preparing them, can be cooked in water, milk, or a mixture. Usually I make about six servings, so that we have a meal plus some leftovers. Grits cook in a 1:6 ratio, so one cup of grits mixed with six cups of liquid produces approximately six servings. I use six cups of water, plus some butter and milk or heavy cream to add some flavor. One of the variables with this recipe is the time of year. The strength of the jalapeño’s flavor depends a lot on the season that you’re cooking with it. In the summer, when jalapeños are in season, the flavor can be overwhelming and can even be too much. If you’re cooking with/for someone whose palate is sensitive to spice, you might want use half of a jalapeño. Also, beware of the pulp and seeds of a jalapeño- they’re the hottest part! If you find that your flavor is too strong, adding a little extra lemon juice or lemon zest can balance it out. And always wash your hands after working with jalapeños! 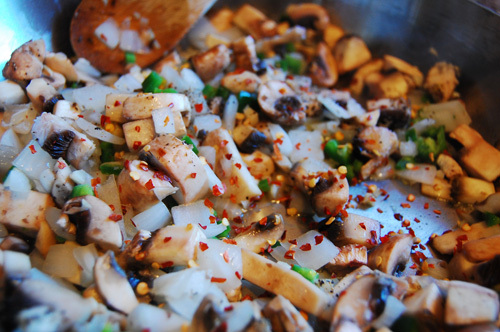 Begin by dicing your onion, mushrooms, jalapeño, and garlic. 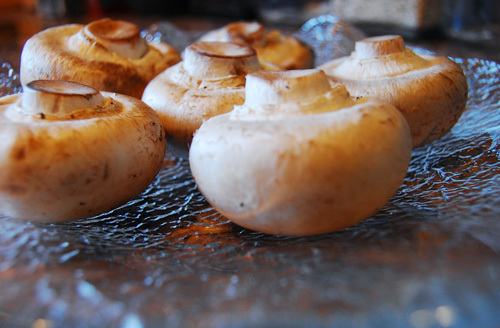 Saute them with the olive oil. While your vegetables are cooking, bring your grits and water to a boil. 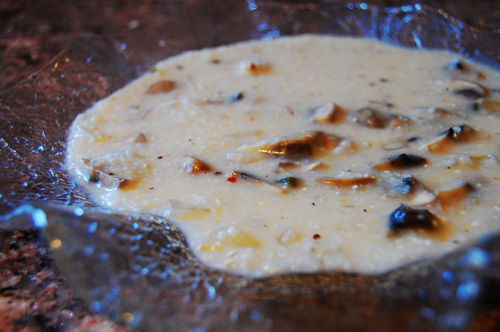 Grits take between 10-15 minutes to thicken, but it is important to stir them every few minutes to make sure they aren’t sticking to the bottom. When your vegetables are tender, reduce heat to a simmer. When your grits are thick, stir in milk, cream, cheese, seasoning, and lemon juice. Stir until the cheese has melted and it is all fully incorporated. Finally, pour the vegetables into the grits, and stir together.